Do we have a current update to this integration? We have tested Hibernate 5.0.5 with Vertica 9.0.1. And are in the process of updating the documentation. 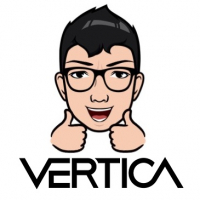 Please send me an email and I will get you the Vertica Dialect before it is available for download. We have updated connectivity document with the latest version Vertica dialect in the document. The document contains the link to download the Vertica dialect.